A new video has been created and uploaded onto our YouTube channel showing how a UPPP (uvulopalatopharyngoplasty) sleep apnea surgery is performed. This surgery is commonly performed to try and improve or even cure obstructive sleep apnea in adults. This surgery rarely is performed in kids. Read more about UPPP here. More info about obstructive sleep apnea can be found here. 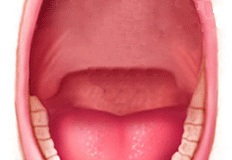 Another operation used to treat obstructive sleep apnea in adults along with UPPP is base of tongue reduction. Read about this operation here as well as watch the video here.